Saturday.........9 a.m. - 4 p.m.
D & S Fabrication provides comprehensive welding solutions to the greater Knoxville area. We are a family-owned company that believes in sound business principles. We believe in consistent quality and putting our customers first. In so doing we hope our customers refer us to their friends and family members. Jason, owner of D & S Fabrication pictured at left, is a Certified Welder with over 20 years experience! We focus on Metal Inert Gas (MIG), Tungsten Inert Gas (TIG), Stick, Heliarc and Flux Core welding. 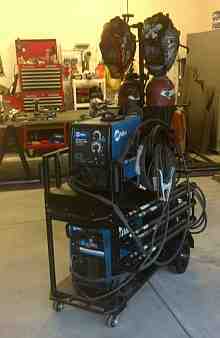 We even offer mobile welding services. If you need us to come to your job site, dealership, apartment complex, restaurant, kitchen, boat dock, farm or home we offer great rates! Our in shop rate is $35 an hour for Steel, $65 an hour for Aluminum and $75 an hour for Stainless with a 1 hour minimum charge. Our mobile rate is $75 an hour for Steel, $130 an hour for Aluminum and $150 an hour for Stainless also with a 1 hour minimum charge. 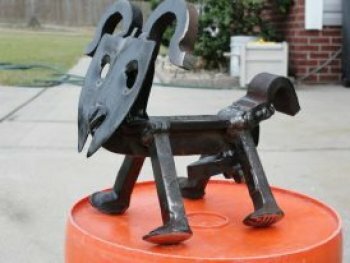 At D&S Fabrication, we weld all types of metal. If it's steel, stainless steel, or aluminum we can weld it. 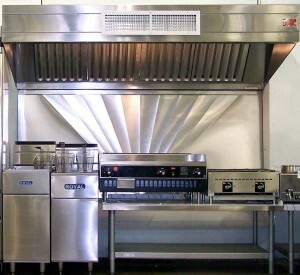 We also offer fabrication services to meet your needs. We can fix or fabricate most anything you'll ever need or want. We concentrate on the metal preparation aspects (such as sawing tubing to length, bending sheet metal or plate), welding, metal working, and assembly. Some of our recent projects include custom turbo exhaust manifolds, wastegate pipes, custom iron fences for commercial or residential applications, repairing cracked lawn mower decks, sealing leaky exhausts, welding cracked motorcycle manifolds, fabricating custom raised dump beds, replating flat bed car haulers, creating custom stainless smoke stacks for a diesel, fabricating subframe connectors for camaros and mustangs. 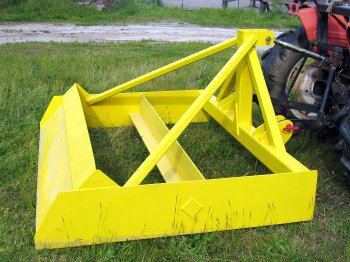 We perform repairs on all kinds of equipment such as car washes, trailers, loaders, backhoes, combinations, paving machines, 4x4s, offroad vehicles, jeeps, rock crawlers, etc... D&S Fabrication offers fence and gate repair/fabrication. 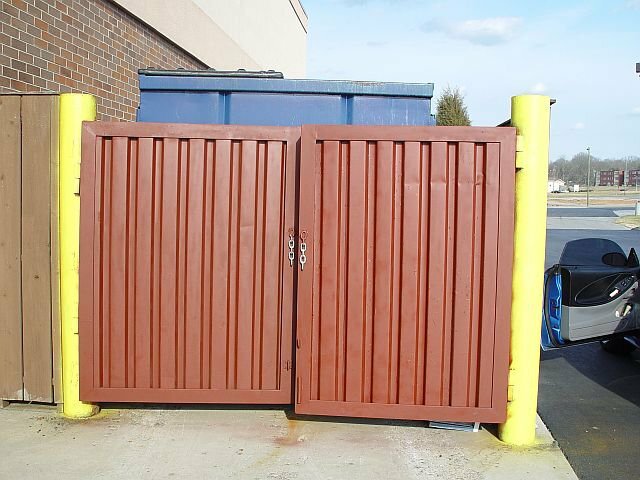 We can fabricate, build and install, almost any fence, gate, or railing you can imagine. We even do custom balcony fabrication, custom decking, steel & aluminum ladders, catwalks, ladders with safety cages, steel & aluminum platforms, steel & aluminum framing / frames, vaults and more. We can repair your equipment on-site or in-shop, whatever is convenient for you. Here at D & S Fabrication we design, mock up, and weld tubular exhaust headers using the icengineworks precision exhaust header modeling system. Their 3D header fabrication kit is so flexible and universal it can be applied to develop tubular header systems for almost any internal combustion engine. We can use it to build headers for the most exotic forms of professional international racing, to the best-in-class show car, hot rod, rat rod, street bike or the fastest funny car, down to the street rod in the garage down the block. Karts, V-twins, 2-strokers, 4-bangers, V6s, V8s, V12s, twin-turbos, blown engines, you name it, your imagination is the limit to find applications for your dream exhaust header systems that can now be easily designed and built by us here at D & S Fabrication. 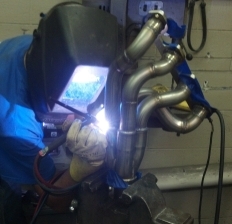 If you need custom speacialty headers for your exotic race car, or your dirt track racer, dragster, pro-street, pro-mod, speed boat, or marine header application...come see us and let us put our specialized fabrication services to the test. The only requirement for us to start designing is to install the actual header flanges with starter tubes, or stubs in the tube diameter you want us to use for your design and build. When the modeling blocks are assembled they form strings that serve as 3D models of actual primary runners. By carefully choosing and positioning each block added to an assembly, while keeping track of the length, our designers quickly discover the most optimum pathway between the header flange and the collector. If interferences are found along the way, the blocks simply get rearranged. This new design capacity to do and undo freely, opens up an unprecedented opportunity to quickly create more efficient, tighter and seemingly more complex designs. And the savings due to unnecessary labor and wasted materials start piling up right away. It is now possible to design, revise, correct and rearrange, almost endlessly, at no extra cost, without waste, any design requirement until every aspect fits and feels right. J-bends, U-bends, V-band flanges, header flanges, are all it takes to turn designs modeled with plastic blocks into a full metal version unless it's a turbo header. Then of course turbo flanges such as the T3, T4, T6, and Mitsubishi inlets may be required. By utilizing precision U-bends, or J-bends of matching CLR, available from exhaust components suppliers like Burns Stainless, Stainless Headers or SPD Exhaust, it is very easy to transfer your design model into metal, section by section. Our most recent build was a 321 stainless steel turbo header with a 4 into 1 merge collector and a downpipe for the wastegate. We did check and make sure that the wastegate exhaust flow had a clear and unrestricted flow either to the atmosphere if using a dump tube, or back into the exhaust system. This particular setup will be fed back into the exhaust system. After modeling up a few custom turbo manifold designs incorporating the external wastegate and tweaking each runner to perfection we one at a time, we replaced each model block section with their metal version by aligning witness lines and tack-welding. We continued until the entire design was completely tacked. After tacking the mandrel bends (u-bends and j-bends slices) we back-purged and TIG welded the entire assembly including the header flanges, starter tubes, equal length runners, merge collector, v-band flanges, and external wastegate turnout (turndown). The customer will use a boost controller on his turbocharger to prevent boost spiking (over boosting). Need a new Ford 9 inch rear end built or cut to specification? 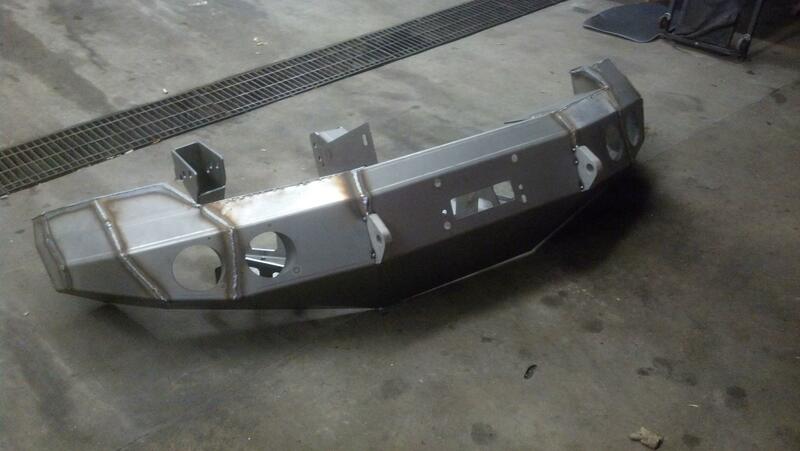 Perhaps you need one welded in like this 48 Chevrolet Suburban we recently stick welded? Drop your bike and need your aluminum heads welded back up? Perhaps you have a tractor trailer and haul cars...need repairs or stronger ramps? Perhaps you want some mounting brackets built for your motorcycle, ATV, trailer or something we haven't mentioned just stop by or call and ask for Jason Loyd. He is a certified welder for hire. No job is to big or to small, we do it all. While you are here please check out some of the service jobs and applications we work on every day. Whether large or small, if it involves welding or metal fabrication, we can handle it and welcome the opportunity to quote your project. 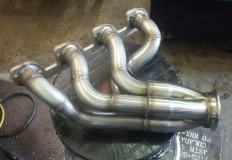 Need a custom set of tubular exhaust headers? Custom turbo application? Let us design you a set of headers using the icengineworks 3D precision exhaust modeling kit. Need some added strength and weight reduction? Enjoy the cool bomber look? Prefer an old school rat rod look? Let us put our dimple die set to use on a project for you. Looking for someone capable of doing a gear swap or building you a custom 9 inch Ford rear end, perhaps a back half kit or tub set up? Need us to weld in an axle truss kit for you? Build you a custom one? 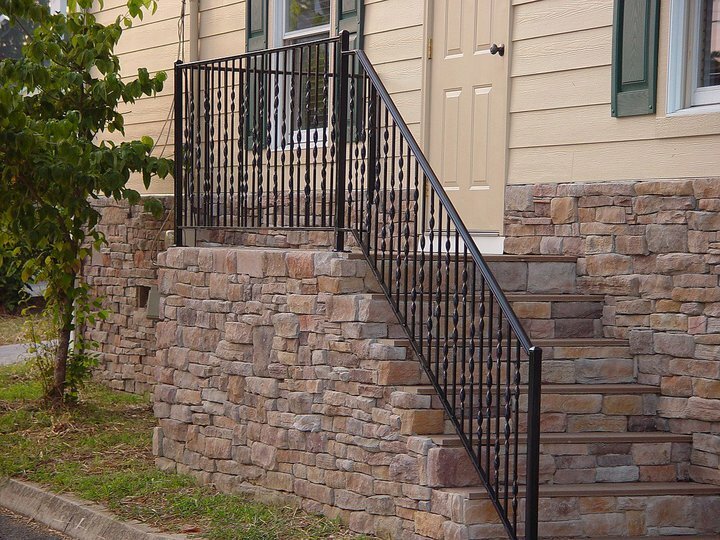 Have a handrail idea? We have a way to bring it to life. Handrails are one of our favorite jobs. 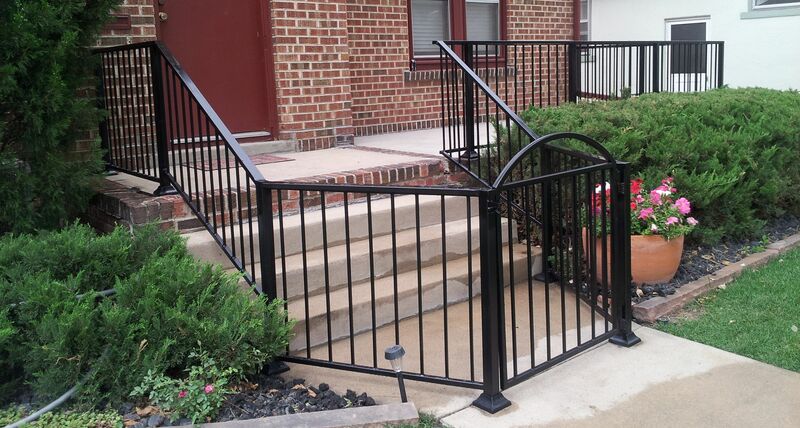 All railings are fabricated properly to meet local municipal code. We have extensive experience in heavy equipment repairs, such as fixing cracks, replacing worn brackets, replacing bucket teeth/shanks, restoring cutting blades, replacing worn pins and hard facing. Dump trucks and 18-wheeler rigs can also be repaired; we are able to replace worn items, broken latches, cracks and tailgates. We have well equipped mobile rig and a certified pipe welder who will complete your pipe line job with ease. We can fabricate heavy-duty bumpers and racks to accomodate winches or other special needs that will outlast your vehicle. 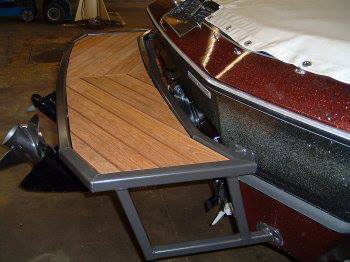 We would be delighted to install or customize a bumper. We can weld together store-bought Weld-It-Yourself (WIY) bumper kits. We can fabricate, modify or repair a custom frame of any sort according to your desires. Some examples of our abilities include applying a roll cage made of high-end chromally tube frames or repairing your rusted project car. 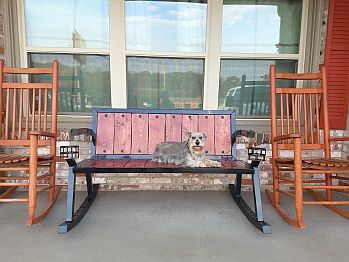 We are able to design custom pieces. 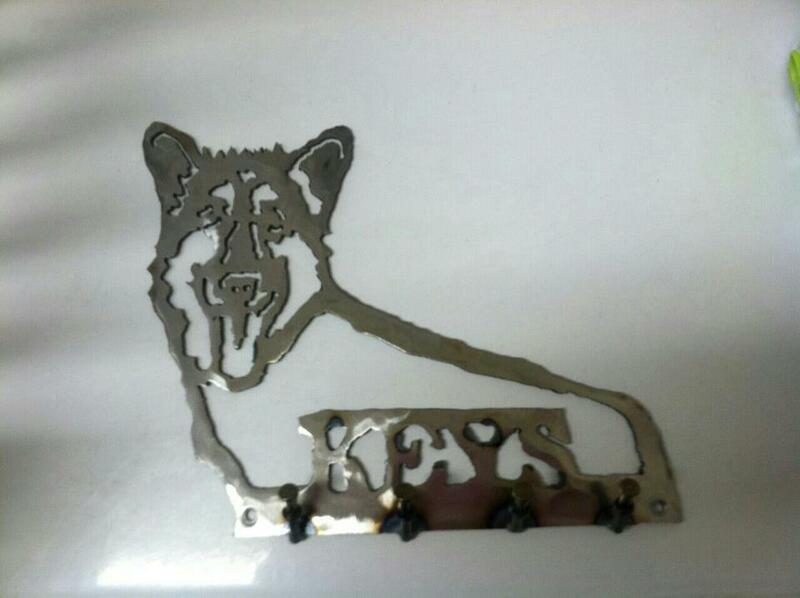 We can plasma cut images by hand or create pieces from nearly anything. Pieces adorn flower gardens, fire places, and decorate your home. We can create custom wine racks, plant holders, door props and more. Let us build you a custom firepit/grill combo. Maybe you need a sturdy patio awning or gazebo? Maybe you need some new patio furniture? Almost every home has a key holder or pet leash holder! Let us build you a custom one. There are many different types of welding. But, when it comes to the types of welding most often used to build and fix things... There are really 3 main types MIG, TIG, and Stick (also known as Arc). 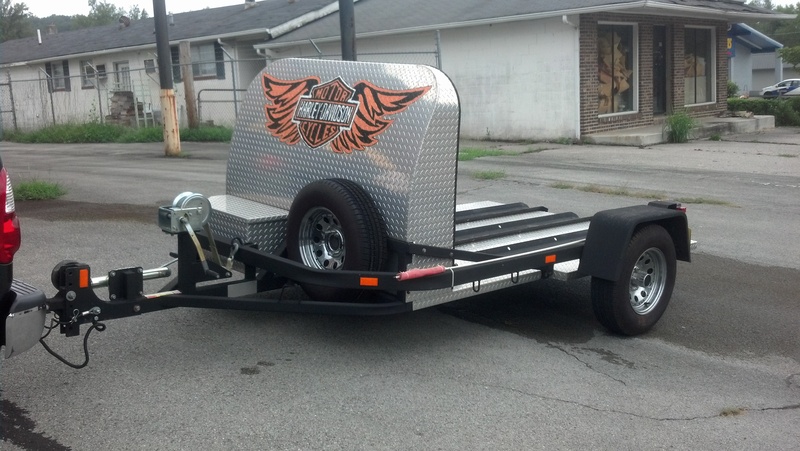 The cart you see to the left we custom built to house a Millermatic 211 and Diversion 180. It has a removeable X-top table for use with welding clamps like on the Miller ArcStation table and a drawer for all those welding clamps and other consumables. We integrated a removable TIG filler rod rack and dual bottle setup. There is even provisions for a jacket holder and two digital elite series hoods. We had the whole thing powder coated in a black wrinkle at Final Touch Powder Coating in Fayetteville, NC. The cart has a built in storage for easy access to cut off wheels and flap disc. It has a holder for a side grinder and even has a power strip for access to 120 VAC power for drills and grinders. Last but not least it even has a place for safety glasses, both clear and shade 5 for all your plasma cutting and grinding eye protection needs. Another welding process worthy of mention is Flux Core. Flux-cored arc welding (FCAW or FCA) is a semi-automatic or automatic arc welding process. FCAW requires a continuously-fed consumable tubular electrode containing a flux and a constant-voltage or, less commonly, a constant-current welding power supply. An externally supplied shielding gas is sometimes used, but often the flux itself is relied upon to generate the necessary protection from the atmosphere, producing both gaseous protection and liquid slag protecting the weld. The process is widely used in construction because of its high welding speed and portability. FCAW was first developed in the early 1950s as an alternative to shielded metal arc welding (SMAW). The advantage of FCAW over SMAW is that the use of the stick electrodes used in SMAW is unnecessary. This helped FCAW to overcome many of the restrictions associated with SMAW. Tungsten Inert Gas (TIG) welding excels at stainless steels, nickel alloys, aluminum, magnesium, titanium, cobalt, and copper alloys. TIG welding requires the metal to be pretty clean. It typically takes longer to complete jobs but yeilds the best looking "stack of dimes" beaded weld joints. 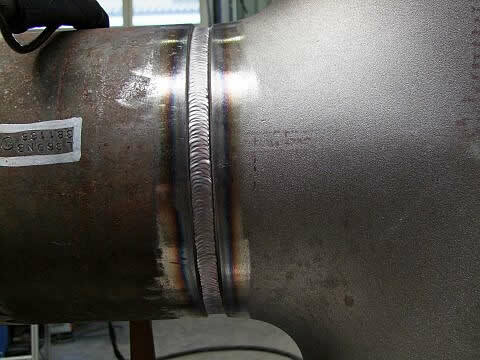 TIG welding is probably the most versatile type of welding there is because almost any metal can be TIG welded. 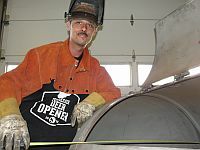 Take a look here at Jody's video from Welding Tips & Tricks. He puts out some awesome videos if you are interested. Also his TIG Finger is a must have in the shop. Metal Inert Gas (MIG) welding is usually the best choice for general fabrication of steel, stainless steel, and aluminum because of its faster travel speeds and the ability to tack weld with one hand. Faster travel speeds generally lower the overall cost of the job to the customer while still providing quality and structurally sound weld joints. Maybe you need us to MIG weld you up a bumper kit like this one Jody over at Welding Tips And Tricks bought from JCR OffRoad. There are plenty of places that offer "Weld-It-Yourself" (WIY) bumper kits. Road Rhino offers some great affordable kits. You can even find some on Ebay. If you'd like us to try and locate one for your vehicle, call us. We'll gladly weld them together for you. 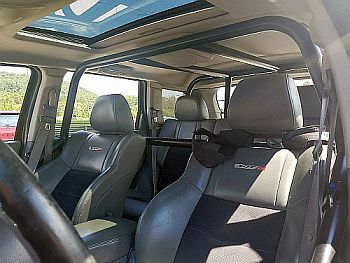 We can even custom fabricate rock sliders, step rails, nerf steps, nerf bars, light bars, headache racks, luggage racks, ladder racks, canoe/kayak racks, spare tire mounts, and more to fit your needs. Need a lift kit installation? Looking for an axle truss kit installer for your Dana 60, Dana 44, or Dana 30? Want some subframe connectors welded in or custom built? Need some shock hoops or shock mounts welded in? Require some race chassis repairs? May we make some chassis modifications for your project? Stick / Arc welding is still considered king for outdoor applications because misting rain or gusty winds don't stop the show. The metal surface also does not have to be nearly as clean. The guys over at The Fab School put together a nifty video showing off the icengineworks header modeling system we use. 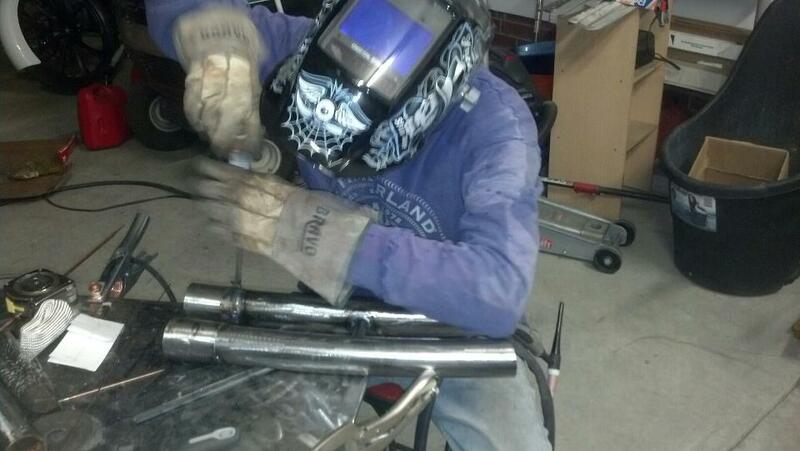 Check it out and let us know if you want D & S Fabrication to build you some headers. People ask all the time if anyone actually still uses stick welding. 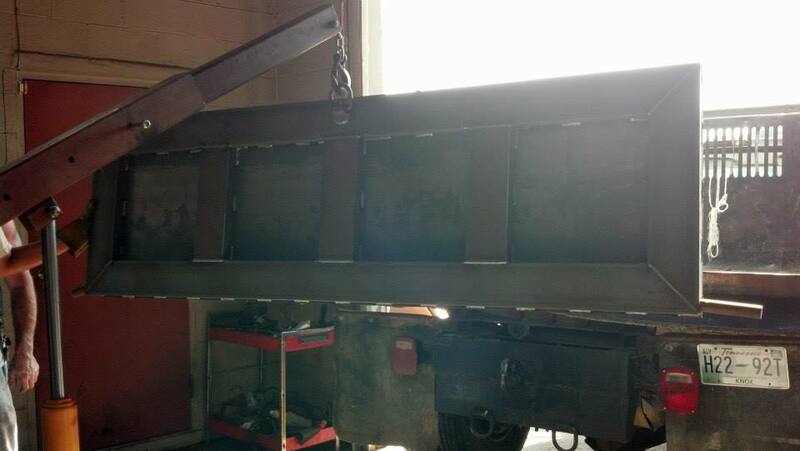 As you can see we've recently stick welded on a car hauler. Shows like monster garage and orange county choppers give the impression that the only type of welding done anymore is TIG & MIG. But that’s not true at all. There are still tons and tons of 6010 and 7018 being used every year to weld pipe, build bridges, fix tractors, and create yard art. Stick welding is here to stay because it is such a robust process. If you are outside in the wind or misting rain, or underneath a tractor trailer frame that is covered in oil and dirt Stick welding will be the best choice. It has stood the test of time. Flux core welding is used extensively on heavy equipment manufacture, pipe welding, ship production and all kinds of things where high quality welds along with high production speeds are important. At D&S Fabrication we offer bending services. We have added a JD Squared Model 32 bender to our shop recently. It is a super heavy duty bender targeted at racecar builders, rock crawlers, 4x4 owners, and those needing high quality wrinkle free bends. With it's large capacity and hydraulic ram we can bend round tubing and pipe from 1/2" to 2 1/2" O.D. and square tubing from 1/2" to 1-1/2". Our bender is rated to bend 2" o.d. x .250" wall DOM steel tubing. It is also capable of bending solid steel up to 1 1/2" diameter. Thanks to our hydraulics we can bend round tubing over 2" o.d. x .120" wall, square tubing over 1 1/2" or solids over 1" diameter. Perhaps we can build you a roll cage, custom bumper, or bull bar? If you'd like to see the Model 32 in action here's a video. We also recently added a tubing roller. This tubing roller allows us to do long gradual and large radius bends. Between the bender and roller we can bend just about anything you'll need. If you'd like to see the SwagOffRoad modified Harbor Freight Tubing Roller kit we use, here's a video. 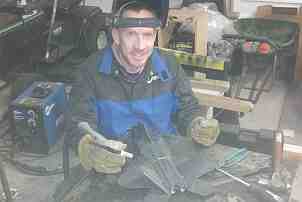 When it comes to welding there are a multitude of metals in use. You don't have to be an expert on what you have to get it repaired. That's where we come in. It doesn't matter if it's a new build, custom fabrication, or simple patch job. We're here to help. Just to give you a few examples of the different types of materials and common places you might find them, we've put together some lists below.